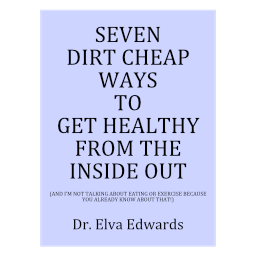 February 2018 – Dr. Elva Edwards, D.C. There are so many really good docuseries these days. You can learn so much. I told you about “The Truth About Cancer,” and “Vaccines Revealed.” And hopefully you got to watch them if you were interested. There are so many of these today that I am not able to watch all of them. And I don’t necessarily suggest you watch all of them either. But if you have a condition that they are referencing, it might be in your best interest to see what you can learn. The way they work is If you click the link, you can sign up and a video will be sent to you each day for the length of the docuseries, usually about 9 days. Most of the time, they are only available to be seen for 24 hours, so try to watch it the day you receive it. This docuseries is about autoimmune diseases such as rheumatoid arthritis, multiple sclerosis, lupus, celiac disease, or a thyroid disease such as Hashimoto’s. This is about healing them naturally. This series begins February 27th. It is called Autoimmune Secrets. Another docu-series is about diabetes and obesity as they tend to go together, although not always. It is called Rising from the depths of Diabetes and Obesity. Here you can see a “sneak peak” and register if you desire. This one is about autoimmune disease like lupus and how cannabis helps the problems. It starts March 1st. Clicking on these links will not automatically sign you up, so click on them and see what they say about the series as they have more information than I have given. I have not seen these and know that I won’t be able to see all of them, but if you are, remember, knowledge is power!! Do you ever gasp as information crosses your desk? *On the label of the cholesterol meds, it says it is not good for the brain. *Taking a statin quadruples your chance of Alzheimer’s. *The statistics are known. If there is a room full of 100 people taking statins, the statin will help one person. Thirty to forty percent of the people, get the negative side effects of the statins. Information is knowledge. Knowledge is power. Everyone gets to make their choice! Last week, in my health tip, I questioned, why the establishment suggests taking flu shots if Tamiflu, taken within 48 hours, is effective for the flu? I admitted I had not investigated the side effects. I started getting emails from my patients who knew more about Tamiflu than me. Yes, there are problems with Tamiflu, big problems. Just google. Poor people who simply just wanted to get over the flu! In this day and age, you don’t take a prescription without looking at the side effects. In fact, one of the reasons I practice as I do is because many people simply do not do well with drugs. No matter what the drug, they have some reaction to it and therefore, they found me. They still get sick, still need help, and know that they never do well on a drug. And I love helping people get well with God’s medicine. Having been in practice over 30 years, I remember patients telling me their doctor’s concern over them taking my herbs. And yet, today, in Dr. Mercola’s blog, he talks about how medical errors are the third leading cause of death (ouch!). And, he also says that money has corrupted the medical research so much that 90% of the research that doctors rely on is flawed or incorrect. Doesn’t that sound impossible? It is supported by one of the foremost experts on medical research credibility. SIGH! If you are one of my patients who comes to see me because medications are just not your friend, count your blessings. When you know you can’t rely on medications, you will learn to rely on God’s pharmacy we commonly call food, herbs, vitamins, minerals, and sunshine! Do I have a great job? Yes, I love it!